Hello guys! As the start of a new month draws nearer with every hour, I am here to discuss the books I’ve read in the first month of the year. So if you read my previous post about my bookish goals for the year, you know that I want to read a total of 100 books in the year. Averaging that out, I have to read 8.333 books a month. A hefty goal that one is, and I have started off very well. This month I read a total of 10 books, two of which being over 500 pages. I can’t believe I managed this one. I also did achieve my other goal of reading one classic a month. For January, I read Death of a Salesman by Arthur Miller. I did read this with my Lit class, and I don’t care if you don’t think it counts, they’re my rules so I’m making it count. (Lol, I still love you guys, I hope you enjoy my posts!!) I did not post a review for this one, and I still haven’t decided if I want to write up reviews for them yet. That will be later determined at a later date. I’ve included links for all of the reviews I have completed so far. Only three left to go! I will write them up and have them live as soon as possible. Thanks for subscribing or even checking this blog out this first month! I am also happy to announce that I am now a reader for Source Books publishing. Look for reviews on their up coming YA releases. I’m so excited to share them with you! Hi, there! Hope you’re having a good day today 🙂 For this post, I’ll be reviewing Velvet Undercover by Teri Brown. This interested me because I have a bit of a weakness for historical fiction and sassy, strong females. When they’re put together, they’re just irresistible! Samantha’s world is at war, the Great War to be exact. Her family has always served the crown, and have done well. Her father is an ambassador as well as an agent for M16. Women in her family have been ladies-in-waiting to the queen. It’s in Sam’s blood to serve, so when her father disappears on a trip to conduct foreign affairs and she’s offered a position to serve her country Sam jumps at the opportunity. The mysterious La Dame Blanche, an elite women’s spy group, has recruited Sam to go into the thick of the fight – Berlin. Not only is she to go snoop in the German court, she’s to suss out an agent who is in possible danger. The problem is that no one knows the girl’s true identity, she’s only known as Velvet. I really enjoyed this book. It was a quick read, and I loved the different elements that Brown included. At the beginning of each chapter there was a different spy term to learn and it related to the events within the chapter. I loved that Sam was so adept with languages. I feel like I related to her really well through this because I myself am pretty good at it too. She knew a little bit of everything and that was pretty cool. Another cool aspect was her smarts and her reliance on them. I always enjoy when a girl is so self-reliant. It was cool learning a few ciphers and the way she thought was super cool. Sam is pretty good at math, specifically coding, and it’s something I learned a little about in my precalc class. I wish I had her talent for something so useful! What was cool about this was the historical setting. Not many people re-imagine World War I, and it was cool to learn a little more about the German court and stuff like that. I think it’d be pretty cool to be a spy, but I’m not sure I’d be great for the job (I’m much better at reading about it). Hi, there! I love doing these reviews on my monthly subscription box – Uppercase Box. It’s truly my favorite, and one of the best out there. If you’d like more details on the logistics and pricing on the box, click the link to my first Uppercase Box review or the one to the website. I was super impressed – as always. I have yet to be disappointed by the amazing choices made by Lisa (exec of Uppercase). I absolutely love the nerdy socks! They’re really soft and fit really well. (I have super small feet.) The reading experience was new, and instead of page tabs it’s now a book mark. I like the new creative twist for that because even though I wasn’t bothered by the tabs it’s super cool to have a new book mark. It’s also easy to keep track of them without impeding on the page. I was surprised by the reading choice for the month. I didn’t even know this was going to be released, and after reading the flap I was super interested! I hope to get into it next month – my stack to read before March is so big! No worries though, I’ve managed 9 books this month, two of which being over 500 pages. Not a big deal, right? The coloring book kind of threw me for a loop. I’m not much of a colorer, and when I do have free time I spend it reading or blogging. I will have to do this one though. The pictures are cute and well done. There are scenes from Alice in Wonderland and Peter Pan. I can’t wait to color it! Hi, all! I hope you’re having a wonderful day! 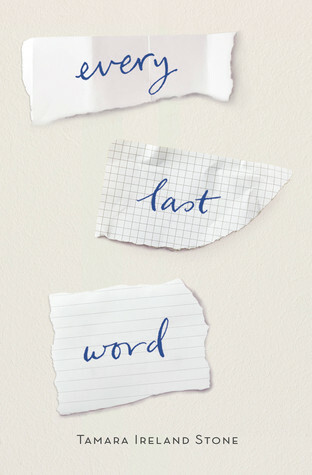 Today I’m going to be reviewing Every Last Word by Tamara Ireland Stone. So Stone is not a debut author in 2015, but this is the first that I have read of her. 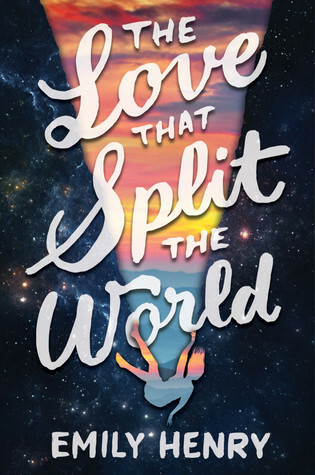 This book got a lot of major props for its unique approach on mental illness in teens and how well it was presented/written. I was excited to read this because of all the hype it got on Instagram, so I couldn’t wait to see if it was worth it. Sam suffers from purely obsessional OCD. She can’t turn off her thoughts and is being constantly bombarded. No one outside of her family knows. No one knows about her panic attacks. About her anxiety. About Sue, her shrink. About threat of a thought that could debilitate her. Sam works hard to keep her perfect facade in tact, fearing her friends would kick her out of the squad she’s been a part of since kindergarten. It seems things will boil over Sam’s junior year – until she meets Caroline and the Poets. She discovers an underground poet club and finds herself armed with the words that were her enemy. With the Poets, Sam begins to explore a side of her that she didn’t even know existed. Wow, this piece definitely deserved all the rave it got. I found that Samantha’s situation, though unique, was something that I felt was important in my own life. Throughout the novel, Sam deals with a catty group of friends and it reminds me a lot of the girl I used to be in middle school and earlier. I remember the times I was bullied and when I turned the tables. Her experiences are something that makes her real to me. I knew exactly what she meant about her situation with AJ (how she bullied him in grade school) and really connected with her as she tried to reconcile. Sam’s identity crisis is something everyone goes through if not once then multiple times. I know every year I have become a little more different, and I hope I am closer to becoming the person I want to be. Sam does the same thing and her rising confidence is something that inspires me. Mental illness is something that touches everyone whether it be directly or indirectly. I myself don’t suffer from anything, but I do have a few close people in my life that do, and Sam’s story helps me understand, even if a little, what they go through every day. It’s something that is a constant battle, and some days are good and some days are bad. I think it is somewhat similar for everyone. You get both good and bad days. What matters is what you do with them. Poetry is not something I personally enjoy writing. I don’t mind reading it, but I don’t seek it out. After reading Sam’s journey and healing with words it reminded me of how much I used to write. I used to creatively write much more than I do now (which is not at all) and I wish I could get back into it. I hope one day to find my voice again, and I know that Sam is someone who inspires me to do so. So on that note I will leave you. Happy reading! Hello! If you like keeping up with release dates, I will do my best to help you with reminders, especially with big ones! This is a massive one for many people. I myself have not had the joy yet to know the writing of Kiera Cass, but I am definitely planning to acquaint myself with her in the future! For more information about this book click here. It will also give you many options for purchasing this beauty if you haven’t already! I’m a sucker for (alternate) historical fiction. After reading Wolf by Wolf by Ryan Graudin I couldn’t wait for something similar to come out! 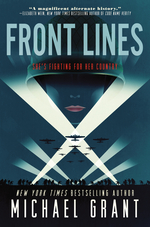 This one is written as if women were enlisted and put on the front lines during World War II. For more info on this one click here. This is the book for our February book club! We would love if you joined us reading it next month! 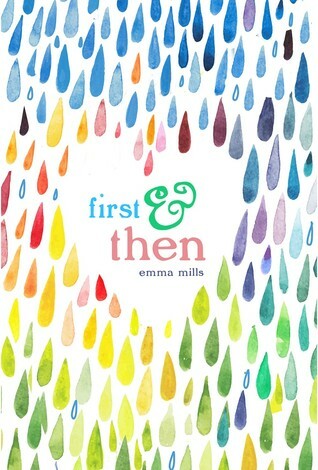 I love the cover, and it’s supposed to be a little like The Time Traveler’s Wife. I can’t wait to see what it has in store! For more information on this book click here. I’ve heard a lot of buzz surrounding this book. It sounds super good. 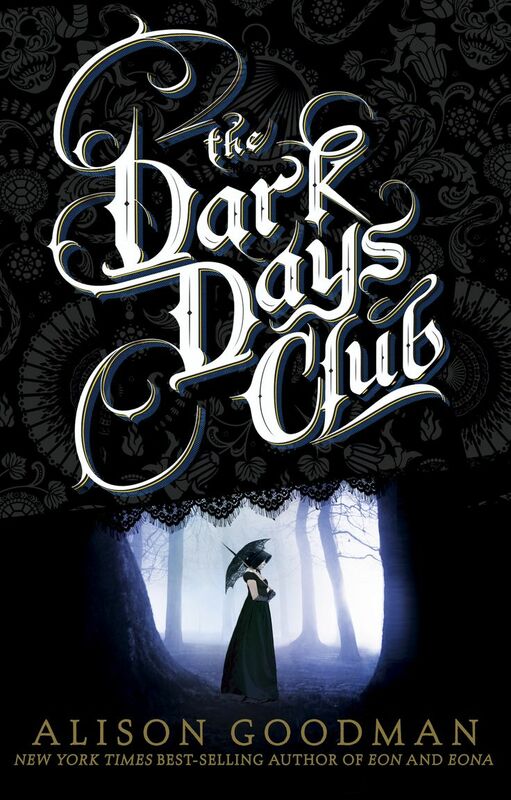 This one is set in Victorian England and centers around a girl who discovers an undercover society. She’s a high society lady who’s daring to take risks – something I personally love. (Women kicking booty is awesome.) For more info on this one here is a link. Alright, I hope that satiates your curiosity for now! What are your anticipated reads/releases for next month? Hello! I hope you all are enjoying the wintery weather we’re finally receiving (here in the U.S. anyway, I’m jealous of the warmer places!). I have recently finished a wonderful Advance Reader Copy from Source Books that I received from my work (job perks are the best!). So the book is called You Were Here and it’s by Cori McCarthy, an author I was overjoyed to find out lived nearby! I am hopefully going to visit her on her tour in March (dates and locations to be released). Jaycee is a daredevil. Well, not quite, her brother was the daredevil, but then one of his stunts goes horribly awry and he dies. Jaycee is going to do something Jake never did – survive graduation. Still struggling with his death years later, Jaycee sets out to accomplish all of his stunts. What she doesn’t expect is help with her quest. It comes in the form of four people connected to her, and Jake, in ways she couldn’t have imagined. The dysfunctional group works their way through Jake’s tricks all the while coping with the loss and the whirlwind of life after graduation. I am so in love with this book! I can’t wait for you all to read it, too! The set release date is March 1 and you can pre-order a signed copy through her website. The book is told in five different perspectives and I think each one suits the character the best way possible. Some of it is told in comic book frames and some of it in narrative. Don’t let the comic book scenes daunt you because they just add to the work as a whole. You will understand exactly why that character is specifically is only in images. Something I enjoyed most about the book is how relatable the characters are. Jaycee is sassy and witty and uses it to combat the overwhelming grief she still has for Jake. Natalie and her intense planning and Type A personality is something I personally understand; it’s like McCarthy wrote her for me (!!). (She didn’t, but I’m going to pretend she did.) I like how strong both of the female characters are and that they don’t have to go running to the guys in the group to help themselves. The boys definitely help them reconcile, but the work is all done by them. It’s refreshing to see so many new female characters kick some booty. Don’t be deterred by Jaycee’s blunt honesty. I think she was my favorite. There is a big reveal near the end and it definitely didn’t catch me off guard, but it’s something not completely obvious. I knew because McCarthy hints at it, and it still stunned me when I got to it. I promise it just enhances the story and makes you love the characters even more. So I received a copy before the cover was decided so I got a pretty blue cover. Here is the actual cover art for the story. I think this is such a wonderful representation of the contents. It’s quite gorgeous don’t you think? I hope you enjoy this book as much as I did. I definitely will re-read this in the near future. I hope your January has gone well so far. I have just completed my first semester and start the second on Monday. I can’t believe half the school year is almost over! If you didn’t know, I’m part of the Goodreads community and I love it. Every year since I’ve joined I did the book challenge. Last year my reading goal was 50 books. I exceeded that by 14, and I have to say I’m pretty proud of that. This year I decided I would read 100 books! So far I’ve read 6 in this present month, and I still have 2 weeks of January left. I am trying as much as I can to document these books through our Instagram, Twitter, and this blog with reviews. You can also keep up with my current reads on the widget on this page or friend request me on Goodreads. My lovely friends from abroad Emma from The Book Crunch and Beth from The Books are Everywhere also started a book club! This month was Six of Crows by Leigh Bardugo, which was amazing (review posted later)!! If you would like to join us, our Goodreads group is called Book Bloggers Unite! and the link to that is here. You don’t have to be a blogger to join and we would love to have you next month, or even this month if you’d like! Hello! I read Red Queen by Victoria Aveyard in anticipation of her release of Glass Sword in February. I had heard a bunch of hype about this book over on the Instagram, and let me say, it’s well deserved. I couldn’t wait to see what happened next and it was so exciting! Mare Barrow lives in a world divided by blood – Red and Silver. Silvers hold special abilities – control of fire, metal, even the mind. They rule over the working class of Reds. Reds are conscripted for a war that no one really knows why it began. Those who have talents are used as apprentices and serve the Silvers. They are fortunate enough to avoid the barracks. Mare knows what her future holds for her. Without apprenticeship she’ll go to war, hopefully she’ll survive. She’ll come home and take care of her parents. Get married. Everything changes when her best friend finds out he’ll be conscripted. She’s willing to risk everything for him and takes a chance. Mare soon finds herself swept up into the Silver court of the royal family. Here she discovers a talent of her own and to cover it up the royals force her into a fake identity – a lost Silver princess. She’s then betrothed to a prince and woven into the many secrets and a web of families waiting for her to crack. I was super impressed by this novel! I loved Mare’s strength and her sass. I did find her a bit irritating at times (oh the love), but I have to say it didn’t matter much in the end. I am very glad that I read this and I have high hopes (along with many other people) for the sequel! The whole concept of the novel was interesting. It seemed very modern and real world. I can picture something like this in the event a segregated area went to war. I think it dealt with the themes of prejudice and even racism very well. Even though the people weren’t divided by race it was clear that there were those who were better because of the abilities they had. Please take a moment to admire this awesome cover. It won Cover Lust in Epic Reads’ Book Shimmy Awards. Okay I think this enough for now! Happy reading!